Homes for sale in Lewisville School District consist of the following cities: Lewisville (no brainer huh), Flower Mound, Carrollton, Highland Village, Copper Canyon, Double Oak, and The Colony. For most buyers or sellers, school districts are really important when it comes to where they will purchase their next home. In the Lewisville ISD, there are six high schools that are structured for the Lewisville ISD feeder patterns. Lewisville homes for sale average $186,490 in listing price. The average sale of homes in the Lewisville ISD are $224,678*. In Lewisville itself, the average sale of homes are $213,949. Lewisville has the best location of any city in the metroplex. It is bounded by major highways such as 121 Tollway, Interstate 35E, and Business 121. These highways can connect you to Denton, Dallas, Frisco, McKinney, and Fort Worth. The biggest attraction is the the Dallas Fort Worth International Airport is literally 10 minutes away from Lewisville off of Highway 121. With plenty of shopping centers and restuarants nestled along 121 and 35E, Lewisville has something for the whole family. 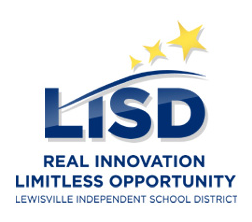 The Lewisville High School Feeder Pattern consist of one senior high school, two ninth and tenth grade high schools, four middle schools, and twelve elementary schools. In The Colony, the average sale of homes are $168, 072. Nestled by Lewisville Lake and 121 Tollway, The Colony, Texas is one of the fastest growing suburbans areas in the Dallas/Fort Worth Metroplex. It is now home to the largest furniture retailer in America with Nebraska Furniture Mart to be opened in 2015. As this area continues to grow with new developments, the time to buy in The Colony is now. The Colony High School Feeder Pattern consist of one high school, two middle schools, and nine elementary schools. In Flower Mound, the average sale of homes are $262,719. This town is located east of Lewisville. Flower Mound consists of two high schools Flower Mound High School and Marcus High School. Each school has their own feeder pattern. The Flower Mound High School Feeder Pattern consist of one high school, a ninth grade campus, three middle schools, and nine elementary schools. The Marcus High School Feeder Pattern consists of one high school, a ninth grade campus, three middle schools, and eight elementary schools. In Carrollton, the average sale of homes are $182,063. This town is located east and southeast of Lewisville. 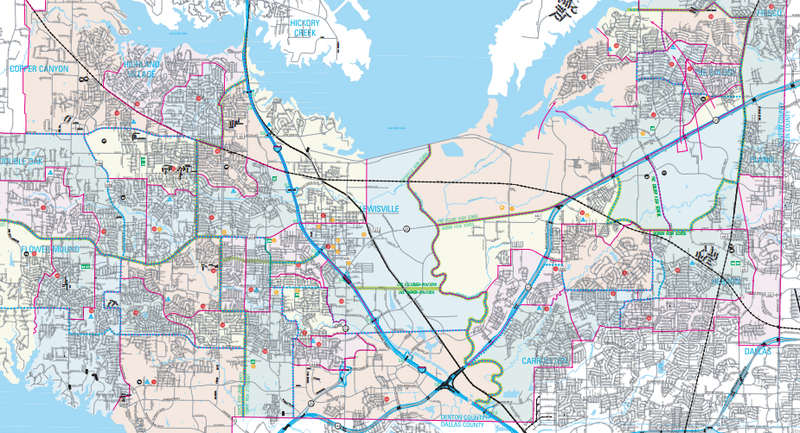 The Carrollton schools that are located in the Lewisville Independent School district are in the 75010 zip code of Carrollton also known as North Carrollton. This area is bounded by 121 Tollway and nestled south of The Colony as well. Hebron High School is the high school located in Carrollton that is in the Lewisville ISD. The Hebron High School Feeder Pattern consist of one high school, a ninth grade campus, three middle schools, and eleven elementary schools. Highland Village is a quaint town nestled northwest of Lewisville and north of Flower Mound. The average sale of homes in Highland Village are $296,585. Schools in Highland Village follow the Marcus High School Feeder Pattern which consists of one high school, a ninth grade campus, three middle schools, and eight elementary schools. According to the town’s website, Double Oak is a little gem that is located just west of Flower Mound, and bordered by FM-407 (Justin Road) to the north and FM-1171 (Cross Timbers Road) to the south. To our east is the Highland Village Shopping area with excellent theaters, well respected retailers and very popular restaurants. To our west…well, that’s pretty much open country! This town brags about being the best little town in North Texas. Its homes are split into two school districts. The districts are Lewisville ISD and Denton ISD. It’s Lewisville ISD schools follow the the Marcus High School Feeder Pattern which consists of one high school, a ninth grade campus, three middle schools, and eight elementary schools. Copper Canyon is located west of Highland Village and north of Double Oak. Just like its neighbor, Double Oak, the homes are split into two school districts. The districts are Lewisville ISD and Denton ISD. It’s Lewisville ISD schools follow the the Marcus High School Feeder Pattern which consists of one high school, a ninth grade campus, three middle schools, and eight elementary schools. For more information about homes for sale in the Lewisville Independent School District (Lewisville ISD) contact me via phone at 972.813.9788 or email. For more information about homes for sale in other Denton County districts, click here Denton County School Districts.